The Pelican Water Countertop System represents the latest in water filtration technology with a bold design that provides healthier, great tasting water. It is the most economical way to eliminate common contaminants in water, such as chlorine and lead, chloramines, cysts, VOC’s and THM’s. It is important that we protect ourselves from the immediate and long-term damaging effects of dangerous chemicals such as chlorine in our water. 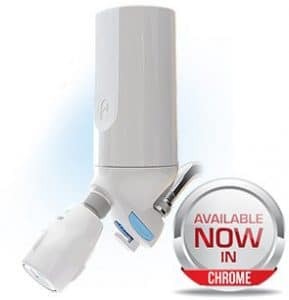 The Pelican Shower Filter will aid in providing many health benefits such as softer hair and skin, while removing over 96% of chlorine. Ans, our filter lasts 50% longer than the competition. Enjoy spring like, cleaner water from every tap in your home by filtering out chlorine, chloramines and other contaminants. With a whole house system you will enjoy softer hair and skin without the drying effects of chemicals, while savouring the differences in cooking, coffee and tea with tastier filtered water. Pelican water treatment systems allow you to make full use of the water in your home, without ever having to buy bottled water again. Whether you are on well or city water, you can be sure your family is drinking the freshest, cleanest water available free of common contaminants and chemicals that are common in local water. Clean water doesn’t just come from your tap – the Pelican whole house filters and shower filters eliminate most chlorine agents so your entire family has healthier hair and softer skin. 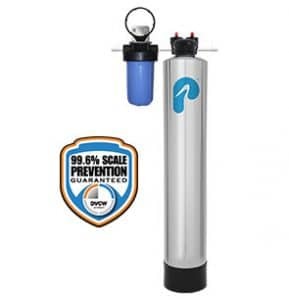 When you buy a Pelican Water whole house filter, salt-free water softener, or NSF-certified drinking filter you help the environment by investing in the latest in water treatment technology that uses no harsh chemicals or brine discharge to filter the water in your home. 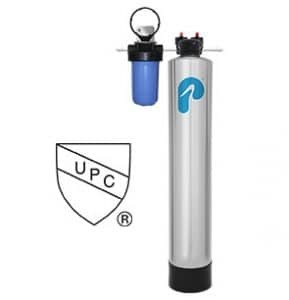 We offer systems for every type of living situation – whether you’re in an 4-bedroom townhouse, apartment, country farmhouse, condo, boat or an RV you’ll find the best water filter suited to your needs at Pelican Water.